Are you considering the creation of a payment institution? Would you like to take advantage of the upcoming “boom” in electronic money? To help you pass these steps successfully and without delay, CANTON Consulting brings you its experience. Building a payment service offering or an e-money project requires a very specific organization and level of quality of service: information system, procedures, organization of marketing processes, internal audit, customer relations and the prevention of money laundering, all of which will be examined by the supervisory authorities before the necessary authorizations are issued. It is therefore essential to integrate these constraints as early as possible in the design of the project and to follow them at the various stages of implementation. CANTON Consulting offers its knowledge of the market, its rules, best practices and existing or emerging solutions to help you bring together the functional bricks of your project. The entry of payment service providers into the market requires the prior approval of the national supervisor. 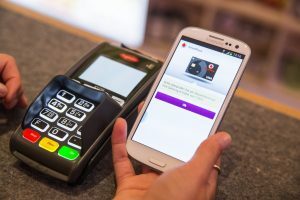 Whether you want to become a Payment Institution (PT) under the DSP, or an Electronic Money Establishment (EME) under EMR 2, all of these payment service providers (PSPs) must obtain an approval from their national supervisor (In France, the ACPR). Our recommendation, forged by experience, is that this first question is fundamental and must receive a careful response which can only seriously proceed from an initial evaluation of the project, its strengths and weaknesses and the path still to be taken, objective by goal. Our practice allows us to quickly and efficiently judge the strengths and weaknesses of a case. Starting from this preliminary diagnosis, we will help you build the roadmap to measure the elements to be combined and progress that needs to to be made. Then, we can accompany you in the adjustment of the design of your project to the measure of the constraints to be satisfied. In particular, we will help you determine the country in which the creation of the entity and the search for accreditation appear to be the most rational. In this approach, we bring you the comfort and safety of an original and experienced methodology, using shared documents, to facilitate collection and adjustments of the procedures necessary for the preparation of the accreditation dossier. All our clients have entrusted us with the role of helping them to obtain their approval from the Prudential Control and Resolution Authority have obtained this sesame !